When you live in areas like Southern California, you will often find that you can have different trees on your property because of the warmer climate you experience. Many homes just like yours may have fantastic palm trees on them to provide you with a unique look for your property. When you do your annual work to help keep your landscape clean and looking its best, you need to consider the proper care needed for your palm trees. Taking care of your palm trees the right way and knowing about palm tree trimming in Northridge is an important part of maintaining the health and longevity of your trees. Many homeowners may not be aware that there are different times of the year that are better for trimming trees like palm trees. Different species of trees, including the different types of palm trees, are best trimmed when they are at dormant periods and before new growth for the year has begun. These times give you the chance to remove dead leaves and branches or areas that may have flowered near the trunk of the tree. Trimming the tree at the improper time can hinder growth and damage the health of the tree. To make sure your palm trees are treated correctly, you may be better off leaving the tree trimming in Northridge that they need to a professional service like ours at Your Way Tree Service, Inc. Our trained professionals have experience dealing with all kinds of palm trees in the area and know the best methods to approach when treating and trimming palms. 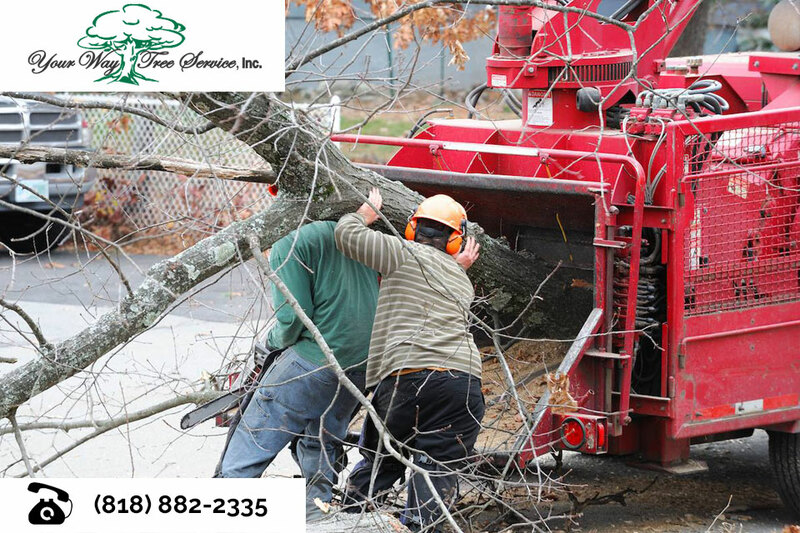 We have the proper equipment so that we can handle trees large or small safely and leave your tree looking its best so that it can continue to stay healthy for you. When you want expert help with the tree trimming in Northridge you need for your palm trees or other trees on your property, make sure to call us at Your Way Tree Service, Inc. for help. We offer a wide variety of tree services that can assist you in keeping your property looking its best and your trees healthy for many years. Contact us by calling 818-882-2335 to schedule an appointment so we can come and look at your palm trees and let you know what we can do to help you care for your trees.